This year had its share of bizarre stories. If you heard one of these from a friend, you wouldn't be faulted for thinking that they were made up. But sometimes, reality is indeed stranger than fiction. Here are six such stories that trended on the ST social media and video platforms in 2018. On Jan 26, passers-by at Jurong East Central spotted an unusual sight: a red Mazda crumpled against the steps of an overhead bridge. What was more unusual, however, was the cause of the accident. The driver, who was alone in the car and suffered minor injuries, had not been drinking or speeding. Rather, it was reported that she was driving along the road when she suddenly saw a cockroach in the car. This gave her such a fright that she lost control of the vehicle, crashing it. The story, which was shared widely on Facebook, prompted netizens to share previous sightings of cockroaches in their own vehicles. ST followed it up with another article on tips to prevent cockroaches in one's car. It should be noted that the year has almost gone by without a report on any other accident caused by the discovery of a cockroach in the vehicle. However, tales of the insect and other creepy crawlies continued to ride the charts throughout the year. Falling from the 11th storey would lead to very serious consequences for most people. 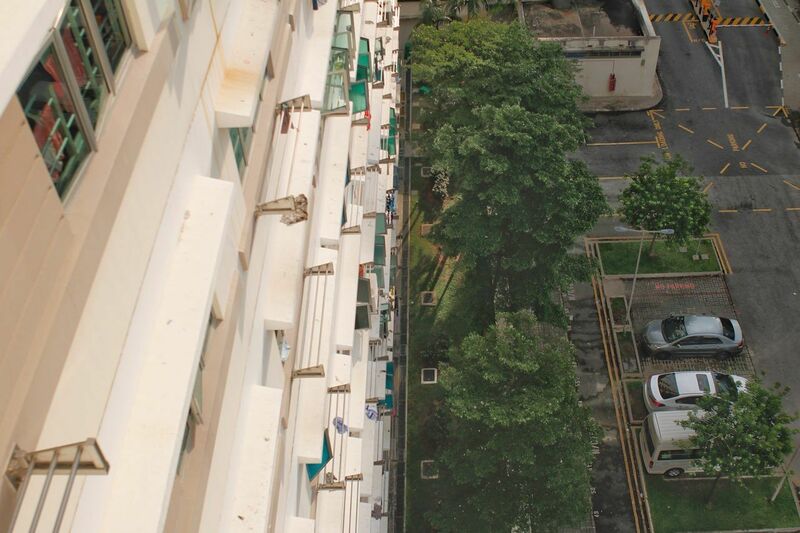 But the story of a two-year-old boy who miraculously survived a fall from a Sengkang Housing Board block on Nov 25 made everyone sit up. The toddler's diaper reportedly caught on the clothes rack of a fourth-floor unit, breaking his fall. Although he suffered injuries, a doctor who rushed to the scene to help told The Straits Times that the boy was conscious and crying. Many readers wished the toddler a speedy recovery. It was later reported that he was in a stable condition at KK Women's and Children's Hospital. There is a saying that some people will take anything that is not nailed down. 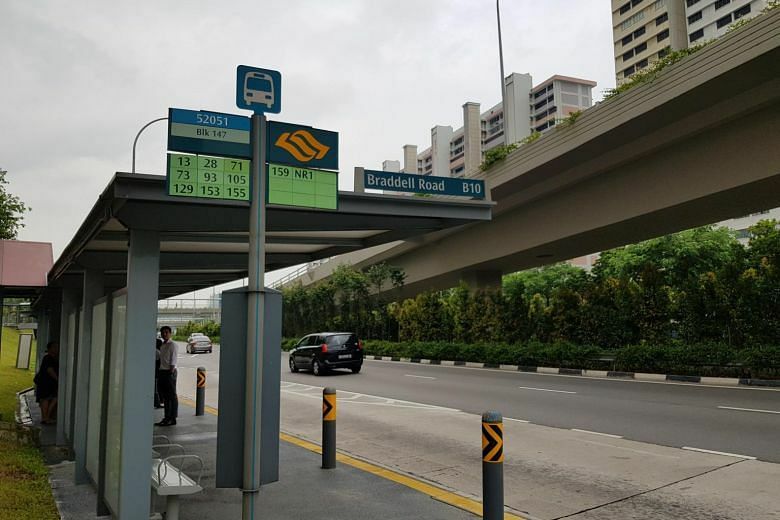 Tan Ke Wei, however, went a step further when he took a bus stop bench, which was secured with eight metal bolts, home. Tan, who wanted to remake his new flat to resemble a bus stop, said he dismantled the $1,500 bench because it looked nice and he wanted to check its dimensions. He unscrewed the metal bolts with his hands, covered the bench with a garbage bag and took it home in a taxi. Although the incident took place in June last year, details were revealed when Tan was sentenced to a seven-day short detention order on Oct 9 this year after he pleaded guilty. News of the sentencing prompted several retailers to put out ads referencing Tan's actions. Some men choose to fight for justice and some men choose to fight for freedom. And then some men choose to fight over the last available toilet urinal. 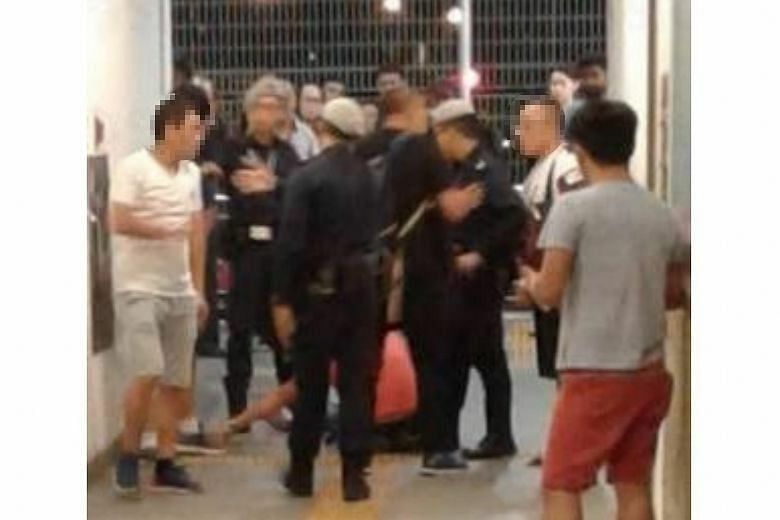 On June 24, two men were arrested after fighting at Aljunied MRT station. A netizen who sent photos of the incident to citizen journalism website Stomp said that the pair had been arguing over whose turn it was to use the last available urinal in the toilet. It escalated into a big fight with the men's respective companions too joining in. Everyone else reportedly got out of the toilet, but the men were otherwise too occupied to notice. The story prompted some cheeky puns on ST's Facebook page. Netizen Joe Hanan commented: "What did the police say to the two of them? Urine big trouble." While Henry Chua Teck Meng commented: "Truly loo-natics." What, you think money just falls from the sky? Money may not grow on trees but, if you're lucky, it may sometimes fall from the sky. 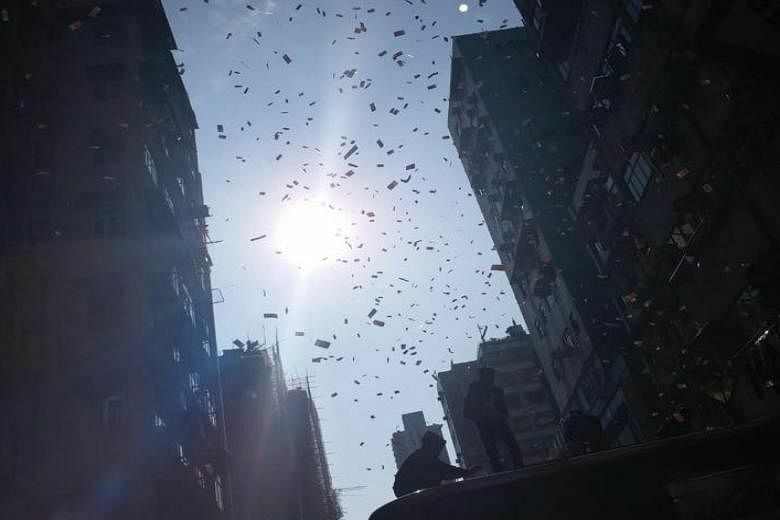 This was the case in Fuk Wa Street in Sham Shui Po, Hong Kong, on Dec 15, when banknotes were thrown from the roof of a building. Videos posted online showed passers-by eagerly grabbing the notes, with some climbing on to the roof of a subway exit to pick up the cash. Others can be seen looking up at the sky in disbelief. A live video posted on the Facebook page of Epoch Cryptocurrency that day showed a man dressed in a black hoodie saying in Cantonese: "I hope everyone here will pay attention to this important event… (I) don't know whether any of you will believe money can fall from the sky." The arrival of the police, however, put an abrupt end to the frenzy. The man, who was later identified as Mr Wong Ching Kit, 24, was arrested for causing disorder in a public place. He is believed to be the owner of Epoch Cryptocurrency, a Facebook page that promotes cryptocurrency. In this day and age, it is nearly impossible to find anybody who is not connected. The Sentinelese, who live on North Sentinel Island, are an isolated tribe that hardly has any contact with the rest of the world - for a good reason. They are protected by Indian government policies, which has made contact with them illegal in a bid to protect their indigenous way of life and shield them from diseases. On Nov 16, however, the tribe was cast in the international spotlight when the members used arrows to shoot and kill Mr John Chau, an American missionary who intruded on their island. Interest in the tribe spiked after the incident, especially when the Indian government revealed that it would be tricky to try and retrieve Mr Chau's body as the authorities try and avoid any disruptive contact with the Sentinelese. While nobody knows exactly why the Sentinelese are so afraid of outsiders, some have suggested that it could be a result of their traumatic interaction with the British in the 19th century. At the time, some members of other indigenous communities such as the Jarawas were kidnapped by the British, and perished quickly.